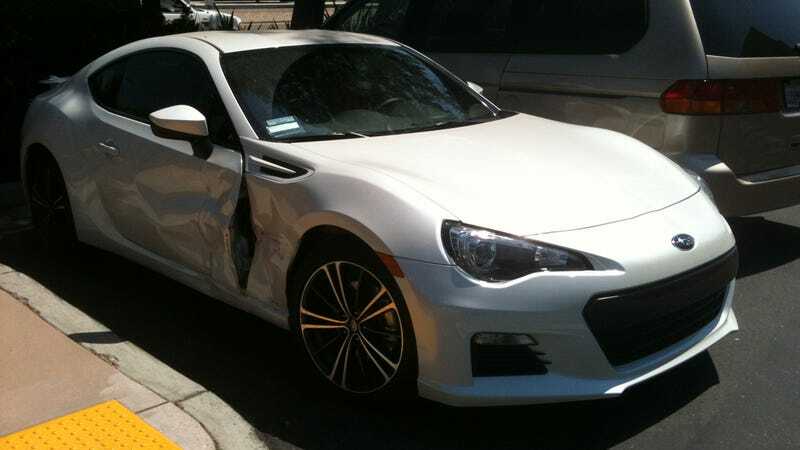 Is This The First Crashed Subaru BRZ In The US? This isn't the first crashed BRZ, nor is it the first Toyobaru to crash in the US, but it might be the first time an American BRZ has been crunched. We have no details on how it happened, but it's clear that the Subaru was hit by another vehicle, and didn't just drift into something, as was the case with the FR-S crash. Perhaps BRZ buyers really are a more refined group of people?